I was recently lucky enough to enjoy a few days away in the wonderful city of Edinburgh. We went prepared with our warm clothes and waterproofs and instead of the traditional Scottish weather it was sub-tropical! I absolutely loved the city, it's great how it is divided into such distinct parts. Every corner seems to have a pub, independent restaurant or cafe or a quirky little boutique shop. Our favourite place was Stockbridge, I could definitely see us living in a place like that. Whilst there, I did of course visit the Scottish National Museum. They have an amazing collection there. 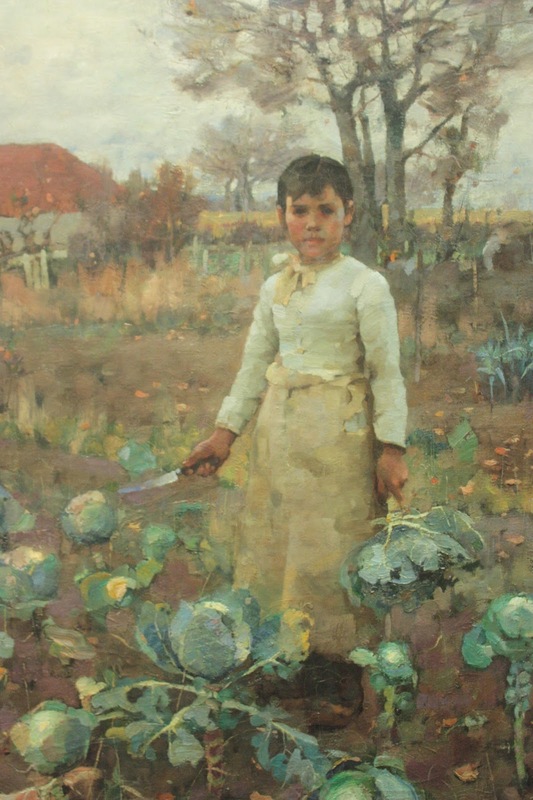 Here's a sketch of my favourite work; 'A Hind's Daughter' by Sir James Guthrie. I was really excited about seeing this work in person as I'd recently discovered it in an art book I've been reading. It really didn't disappoint. This is the original, although the image just doesn't do the work justice. If you can, take a trip to Edinburgh and see the real thing and soak up the culture of this brilliant city.